The popularity of ISO disc image file made it a solid stand for storing data contents of any optical disc. However, the fact that this file can be only played in certain software truly becomes a shortcoming. So if you are looking for some tools that can convert ISO to other regular video formats like MPEG and use it as an ISO to MPEG converter, check nowhere else but here. What is MPEG and why we need to convert ISO to MPEG? How to convert ISO to MPEG? What exactly is ISO? — The Definition. Although there is no standard definition, ISO is a disc image file that contains of data contents of any optical disc, for example, DVDs or Blu-ray discs. This has something to do with the limitations of ISO. The most well-known one is that not so many software tools are able to perform the task of writing ISO disk images to flash drives. While on the other hand, MPEG was formed by ISO and IEC to set the standards for audio and video compression and transmission. Therefore, it seems it’s the best way to convert ISO to MPEG with the original quality and at the same time, easier for the playback on different main-stream devices. MPEG does have a lot of standards like MPEG-1, MPEG-2, MPEG-3, MPEG-4, MPEG-A, MPEG-B, MPEG-C, MPEG-D, etc., each has slight difference from others but there is no need to go deeper in this tutorial because the ISO to MPEG convert tool we are going to introduce below already provided two common MPEG formats for your choice, they are MPEG-1 and MPEG-2, and that’s pretty enough for non-professional users. How to convert ISO to MPEG? — Leawo Blu-ray Ripper shall provide the solution. 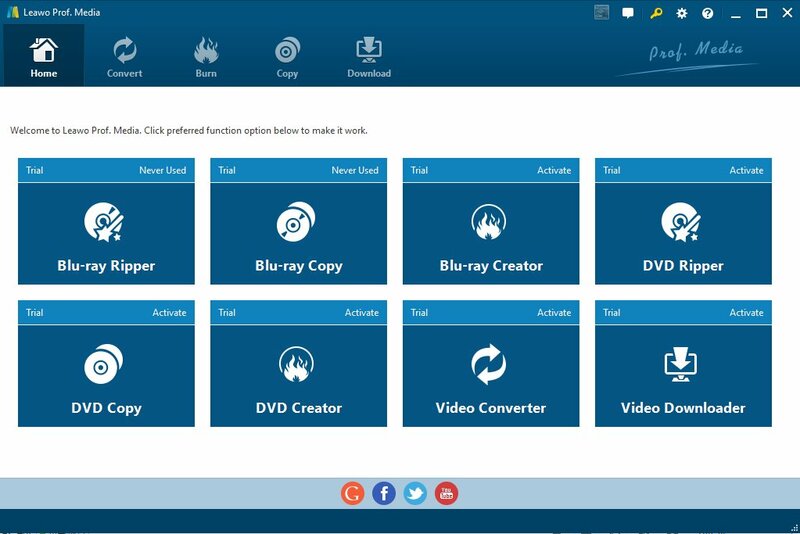 Leawo Blu-ray Ripper is made for Blu-ray/DVD lovers to rip Blu-ray/DVD disc, folder and ISO to more than 180 popular video/audio formats with the best output quality, without any loss and the quickest processing speed. 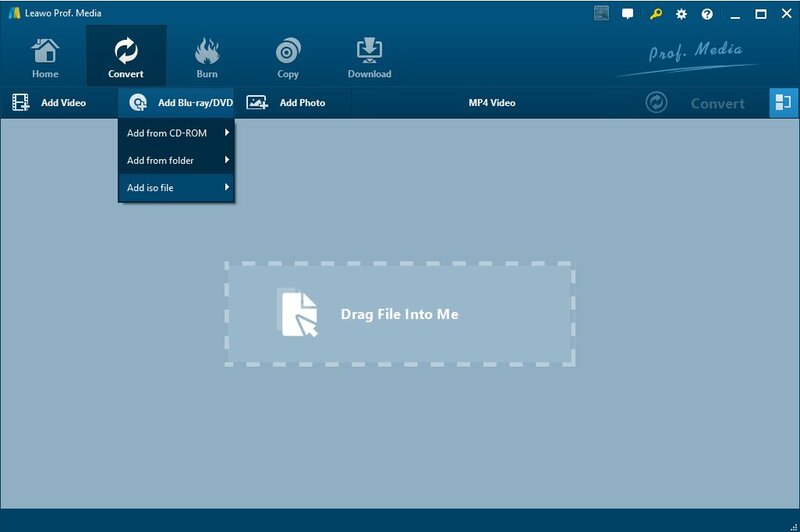 The steps below will demonstrate how to achieve the ISO to MPEG conversion in just a few clicks. Step 1: Launch Leawo Blu-ray Ripper(included in Leawo Prof. Media as a separate module) Click “Blu-ray Ripper” tab and you will see the main interface like this. 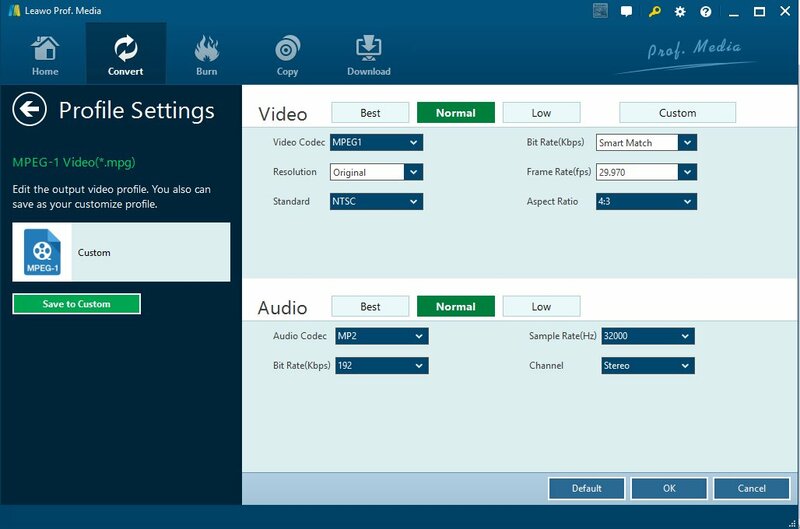 Step 2: Browse the output format and select MPEG-1 as final, and adjust the MPEG video profile settings to guarantee the best output quality. Step 3: Click “Add Blu-ray/DVD” -> “Add iso file” to import ISO file. Or you can drag and drop ISO file instead. After ISO file has been imported, the preview is available. You can also choose the movie mode on the top from “Full Movie“, “Main Movie” and ““Custom Mode“. Step 4: Click “OK” and you will be able to see all the conversion summary before it officially starts. You can also adjust the video effects. Step 5: Click the green button “Convert” to set the output saving path and start the ISO to MPEG conversion officially. Wait just for a few minutes(depending on how big your original ISO file is) until the conversion completes. 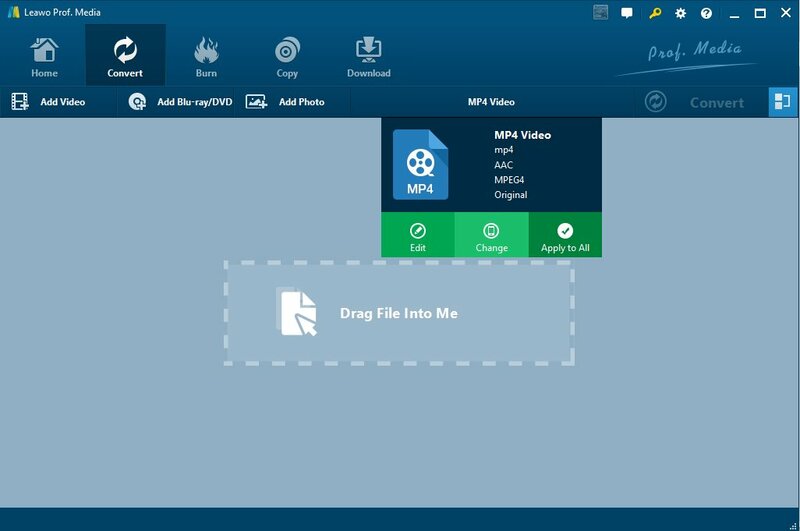 Now you can view your ISO file in MPEG format almost anywhere easily. How to Clean A Blu-ray Disc? Can You Convert Blu-ray to DVD?